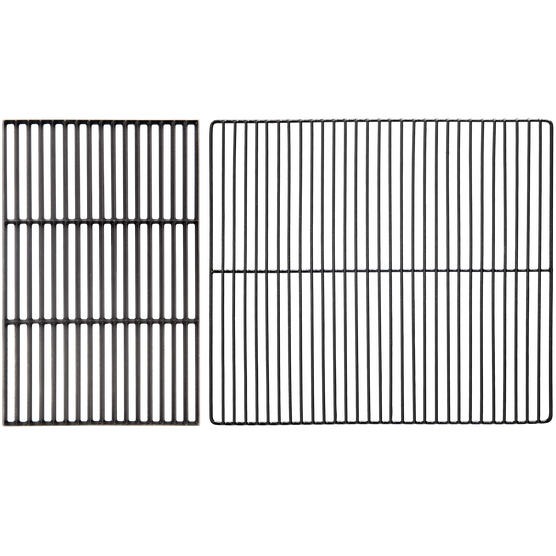 We’ve merged two amazing features into one kit. 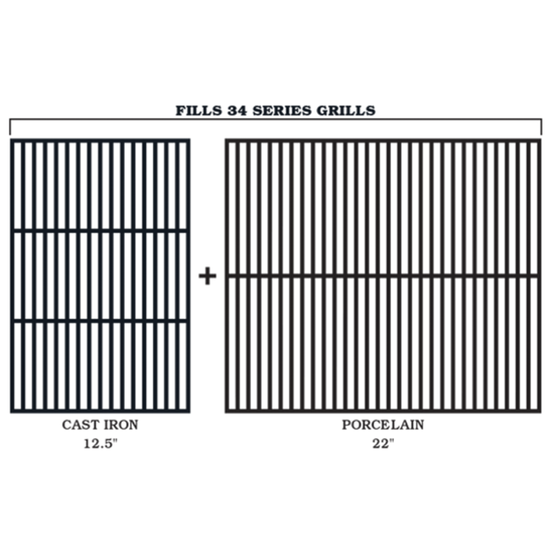 The Cast Iron & Porcelain Grill Grate Kit includes two dynamic cooking surfaces to enhance your grilling game. 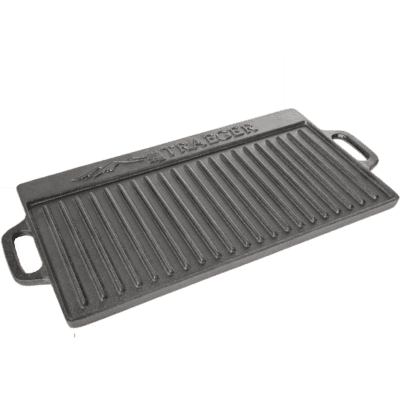 The cast iron grate distributes heat evenly across the entire surface and gives a perfect sear to seal in flavor. 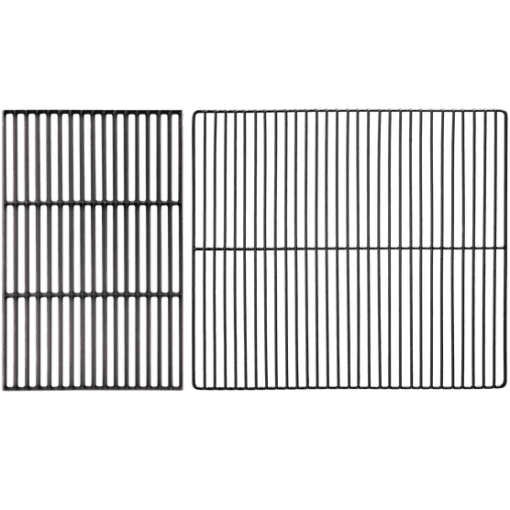 The porcelain grate is non-stick and cleans up easily after grilling juicy burgers or saucy ribs. 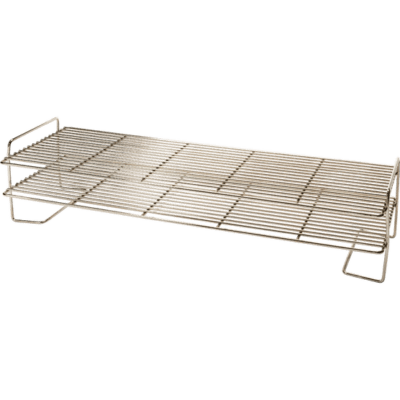 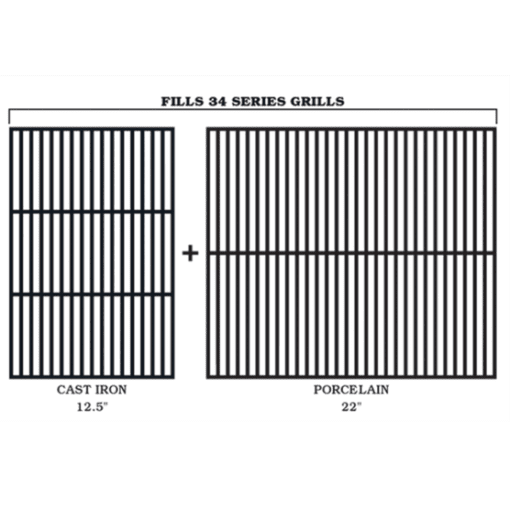 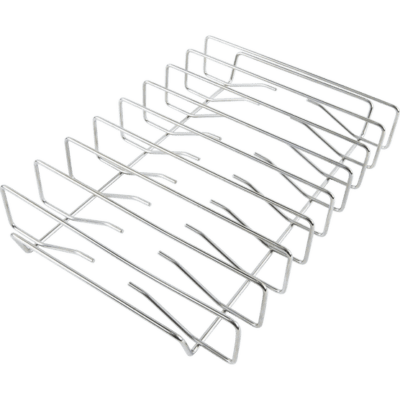 Replace all of the existing grates to give your grill a fresh upgrade.